New Image Communications is built on strong media relationships and client partnerships, based on trust. Advising clients at the highest level in both corporate and consumer communication for over twenty years, we consistently delivers the solid PR foundation on which successful brands and businesses are built. New Image complements professional PR services with dedicated event management, sponsorship planning, commercial partnerships and brand ambassador agreements. Bespoke web development and social media management and training completes our unique suite of creative and commercial services, allowing clients to completely integrate their digital and PR requirements, working with a single agency. No spin, no over-promising; just hardworking, creative and cost-effective communications! Freeda McHugh is vastly experienced in the PR business, working with Irish and international organisations and brands, large and small, in the FMCG, professional services, healthcare, retail, lifestyle and charity sectors. New Image Communications provides strategic advice and tactical PR, principally focussed on proactive media engagement and on crafting original news and feature content. Freeda works alongside an innovative digital account manager and a professional copywriter, as well as contracting promotional, media buying and research services, in support of clients’ commercial and brand-building agenda. 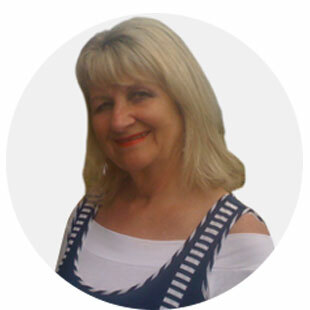 Freeda McHugh also heads up a team of experienced web developers and social media managers. Expert in all digital platforms, the New Image Communications team designs and develops bespoke websites from scratch, as well as advising on upgrades and commercial enhancement of existing sites. The New Image digital division supports businesses in cost-efficiently setting up and managing their social media interfaces, maximising consumer reach and influence, and driving business. In-house training and group courses ensure clients can update and manage their own digital communications on an ongoing basis.